I am not going to define or decribe what is open source as all of us can easily find relevant information on the web. I would like to share how and why Open-source attracted my attention. The first time I heard about opensource was in the year 1995 when one of my former secondary school classmates introduced Linux to me. I was told that it was the best operating systems using opensource for Intel-based x86 architecture computer. Like all other opensource software, it could be freely downloaded (at that time mainly using CD media as we were still using dial-up modem for interneet connection around 54kbps) to be installed in the computer, that was perfect for most startup companies and low-budget projects. At that time I had neither enough time nor skill to play around this OS. More accurate, Linux is just a kernel of OS, but later I found that most people refer it to a family of OS’s based on Linux, e.g. 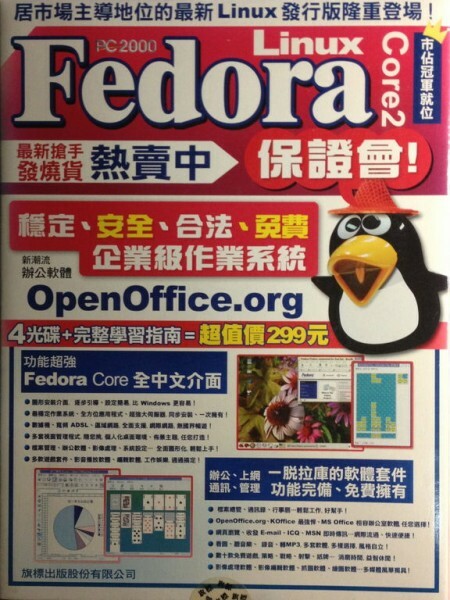 RedHat, Fedora, Suse, etc. No doubt, one of the major advantages of opensource software is free. Besides this, I found one critical success factor of the booming of opensource software is that there are uncountable programmers on earth who are interested in enhancing opensource software and they have given the freedom to accomplish it. In contrast, for proprietary software, it is illegal to modify the software even though the user has the right-to-use and wants to fix a known bug of the software. Is it rediculous? To me, the power of opensource software is the wide availability of free software maintained by a group of voluteers mainly driven by personal interest. Of course, I think there would be some of them looking for popularity and other reasons to invest time on developing or maintaining opensource software. Like this website, from the hypervisor virtual machine layer (VirtualBox) to the CMS platform (Drupal), and other layers (including CentOS operating system, Apache Web Server, MySQL database, PHP) all are depending on opensource software. The story begins in the afternoon around 2004, I saw a thick book called Unleashing RedHat 7 in Tsing Yi Pubic Library. There was also an installation CD of RedHat included. I installed RedHat CD in my tiny Sony notebook computer C1 with 900Mhz CPU and 256MB memory. The pilot implementation was successful. Then it came the first challenge. How to apply the software update when there is no support on RedHat 7 anymore on RedHat’s site? However, on its website, I learned that RedHat then decided to differentiate the OS into 2 streams, one for enterprise called RedHat Enterprise with chargeable support and one for community without support called Fedora. For some reason, I bought a set of Fedora Core2 CD set as the download for several CD images and burn them was not easy at that time. Without any skill on Linux at that time, I just wanted to taste the power of Fedora and set up a FTP server on my Sony notebook, and asked some friends to download from my Sony some large files for testing and it went stable and smoothly.